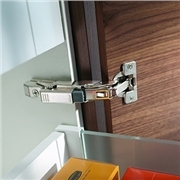 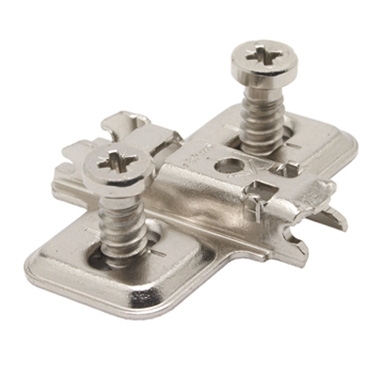 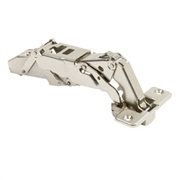 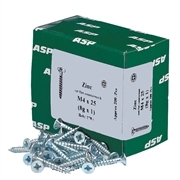 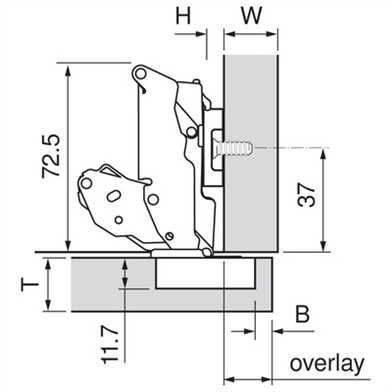 Blum 155º Hinge, 0 Protrusion hinges are used on cabinets that house drawers. 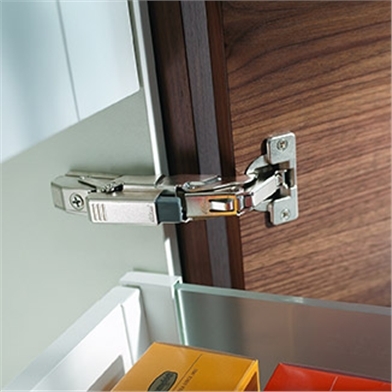 155° Blum zero protrusion hinge ensures the door swings clear of the cabinet allowing the drawer to open unhindered. 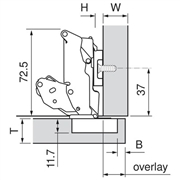 Available for overlay door applications only.